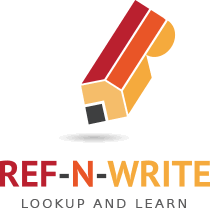 Ref-N-Write is a fantastic research tool for beginner writers and non-native English speakers. This is a Microsoft Word add-in. This tool allows users to import research papers into MS Word. Then the tool allows you to search the research documents while you are writing your research paper or academic essay. In essence, this tool is similar to Google search engine; the difference is that instead of searching the internet you are searching research papers and academic documents stored on your computer. REF-N-WRITE functions within MS Word and the search results are displayed in a panel that pops up from the bottom. You can expand the search results and jump to the exact location in the source document in a few clicks. This research tool is fantastic to lookup for writing ideas from related research papers or documents from your colleagues. The REF-N-WRITE tool also comes with a database of academic and scientific phrases. You can use this to polish your writing by substituting colloquial terms and informal statements in your text with academically acceptable words and phrases. REF-N-WRITE also features text-to-voice option that helps you pick up grammatical errors and sentence structural issues. One of the most important requirement while writing up your research is the use of appropriate statistical methods and analysis to back up your claims. Whether you are doing quantitative or qualitative research, statistical analysis will be an indispensable part of your workflow. There are plenty of research tools available that allows you to do a wide variety of statistical analyses for your research. However, most of the time, you will find yourself performing basic calculations stuff such as mean, standard deviation, confidence intervals, standard error, etc. to make your work sound scientific. Also, you need to use some form of statistical test to test the significance of the difference between two groups or cohorts and compute the p-value. Some of the widely used statistical tests for this purpose include T-test, F-test, Chi-square test, Pearson correlation coefficient and ANOVA. Following are the list of free popular statistical research tools available online. These tools will allow you to cut and copy your data directly from your spreadsheet and perform the required statistical analysis. One of the widely used tools for research is Microsoft Excel. MS Excel has plenty of features that will come in handy when you are doing a research project. Excel is a must have research tool if your study involves a lot of quantitative analysis. Excel offers a wide range of statistical functions such as AVERAGE, MIN, MAX, SUM, etc that you can apply to the cells in a few clicks. You can visualize your data using a wide variety of chart types, for example, bar plot, scatter plot, etc. You can use pivot tables to organize and generate summaries of your data easily. For complex statistical analysis, you can use Data Analysis ToolPak Excel add-in. This add-in comes with a wide variety of statistical analysis tools such as Descriptive statistics, Histogram, F-test, Random number generation, Fourier analysis, etc. Google Scholar is a free online research tool offered by Google. This tool allows users to search for academic literature, scientific articles, journals, white papers and patents across the web. This is an excellent tool for research. It not only searches well-known databases, it also looks for articles in university repositories, so your chances of finding the full-text PDF of the research article you are after is very high. You can set up keyword alerts so that Google Scholar notifies you when there is a new article in your field or from your co-authors. You can manage multiple libraries of papers. You can label paper or article, and Google Scholar will organize them for you. Google Scholar displays vital information about the article such as citation number, versions and other articles citing the current article. Google Scholar also alerts you if somebody else has cited your paper. You can download citations in a wide variety of formats – MLA, APA, Chicago, Harvard, Vancouver, – and you can easily export the citation to EndNote and other bibliography managers. On the whole, Google Scholar is an indispensable tool for researchers. 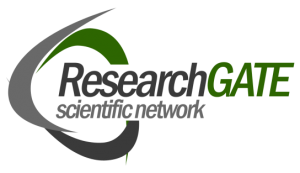 ResearchGate is a social networking site for people doing research. The site contains more than 11 million members that include scientists, academics, Ph.D. students, and researchers. Users can create an account using a valid institutional email address. Once successful, they can create a profile, upload pictures, list publications and upload full-text papers. ResearchGate is a perfect research tool for researchers and academics looking for collaborations. You can follow updates from your colleagues or peers with similar interests. You will be notified if somebody reads or cites your paper, and also you will know if the people you are following have published new research. You can email other members and request for full-text of their listed publications. ResearchGate also computes a RG score based on your profile and publications. This is different from H-score computed by Google Scholar or citation score given by journals. On the whole, ResearchGate is an excellent tool for research if you want to keep tabs on your colleagues’ research and collaborate with different institutions. Plagiarism is seen as academic misconduct. Plagiarism is not taken lightly by academic and research institutions and is punished and penalized severely. Plagiarism occurs when you copy and paste a large chunk of text from a document written by someone else without giving credit to the author. This is seen as copying and taking credits for somebody’s work. Even if you paraphrase the text and use it in your text, it will still be seen as plagiarism. One of the common forms of plagiarism is self-plagiarism. Self-plagiarism is the use of one’s own previous work in another context without citing that it was used previously. This is because once you publish your work, the publisher holds the copyright for your text, so you need to either get permission from the publisher to reuse the text or you should cite the source. 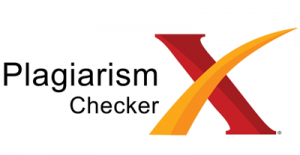 There are plenty of plagiarism detection software and online checking tools available that you can use to check how much of your text overlap with previously published materials. You can fix these mistakes before submitting your academic essay or research paper. Some of the tools for checking plagiarism are listed below. It is so easy for your research project to go out of hands when you are multi-tasking and dealing with multiple deadlines. 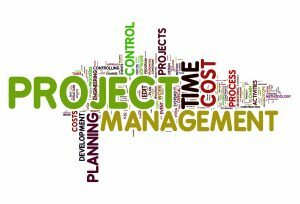 It is good practice to choose a project management tool to keep on top of your research project. These tools can help you minimise the amount of time you spend on managing the project and instead concentrate on research work. Find a tool that allows you to lay out what is to be done, by whom and by then. Sometimes it would be helpful if you can visualize your tasks and the timeline for execution using simple diagrams such as a Gantt chart. There are plenty of research project management tools available; you can simply pick the one that suits your research project. Here are some popular research management tools used in the academic community.